The hosts of CTV’s The Social and I shared lots of scandalous laughs this week pairing wine and chocolate for Valentine’s Day. Click on the arrow above to play the video. 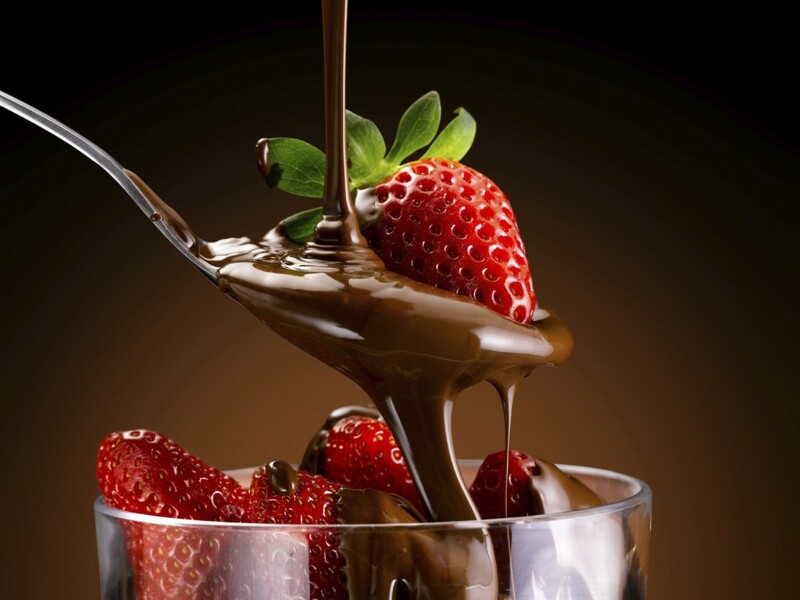 We love chocolate not just for its taste, but also for its sensual texture. Cocoa butter, one of its main ingredients, melts close to body temperature, so sliding a piece into your mouth and feeling it seep out to coat your tongue can almost be orgasmic. Maybe that why’s the eighteenth century Venetian womanizer Giacomo Casanova drank chocolate daily as an aphrodisiac. 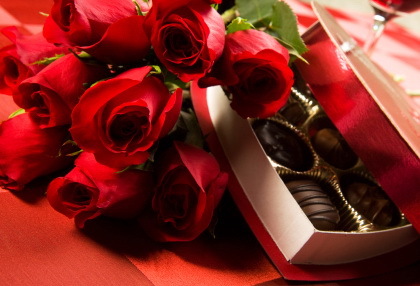 Sadly, scientists have since proven no link between chocolate and sexual prowess, but they have discovered that it contains phenylethylamine, a compound that produces a high in the brain that’s similar to the feeling of falling in love. Many oenophiles don’t even try to combine wine and chocolate, feeling that the rich sweetness of chocolate is too much for any wine. But I usually buck conventional wisdom (and I like to layer my vices), so I’m determined to find some good pairings. 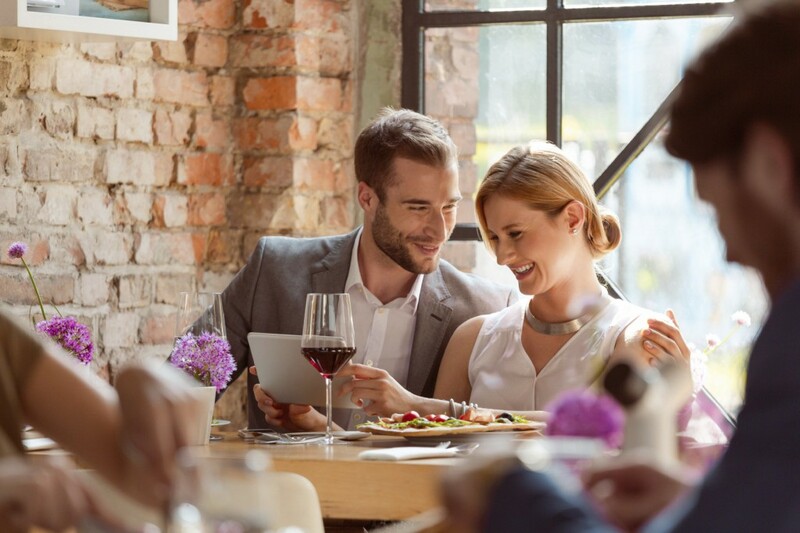 In matching wine with any dessert the overarching principle is that the wine must be the sweeter of the two—otherwise it’ll taste bitter or dull. That’s why chocolate, with its concentrated and creamy flavors, usually goes best with sweet, full-bodied, high-alcohol wines. Alcohol gives the impression of richness and sweetness. But there are may shades and intensities of chocolate, so here are a few ideas for sweetening its marriage with wine. 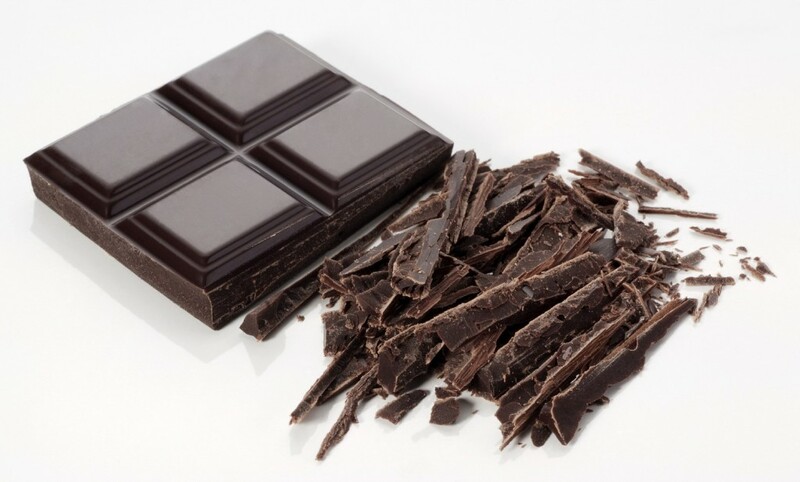 The best partners for dark chocolate are fortified wines, such as the vin doux naturels, banyuls and maury, both from southern France. They’re made from late-picked red grenache grapes that grow on steep, terraced hillsides. These wines are aged up to thirty months in oak to create rich dark fruit flavors. Banyuls is a bit sweeter and more acidic than maury, and therefore a better match for chocolate. One of the most famous banyuls is Domaine du Mas Blanc, while maury is best-known for Mas Amiel. Both remind me a little of California’s late-harvest zinfandel, which can also work with chocolate. Semi-sweet to sweet sherries have the bonus of a nutty character, which goes well with chocolate. Sadly, though, dry madeira from the Portuguese island is a disappointment even though it’s often grouped with sherry in the dishes it complements. 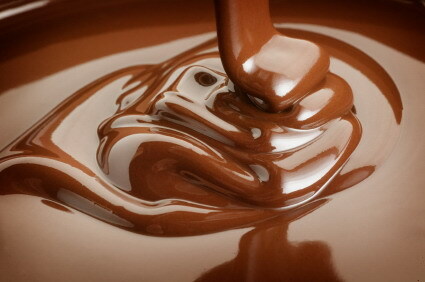 The sweet versions of this wine, such as bual, verdhello and malmsay, are a better match for chocolate. You’ll have better luck with Australian liqueur muscat and liqueur tokay, made from muscat or muscadelle grapes. They’re dried to a semi-raisined state on the vine, then fortified during fermentation. The wine is then heated while it’s aging in barrels, which gives it intriguing aromas of prune, fig, raisin, smoke, tar, coffee, and nuts. All go well with chocolate. Beaumes-de-Venise muscat from southern France has similar aromas with the addition of lovely orange-blossom notes. My favorite match for chocolate is port. Vintage port pairs well enough, with its plumy, grapey notes, but young ruby port is better with its aromas of blackberries and raspberries. Best of all is tawny port, since its aromas have a natural affinity with chocolate: caramel, coffee, nuts, dried figs, cinnamon, vanilla, and spice. These ports are divine with pralines, a decadent mixture of sugar and ground hazelnuts. Tawny ports are well-aged wines, often maturing for ten, twenty, or even thirty years. As you’d expect, the oldest variety is the richest. My favorites are Graham’s, Dow’s, and Taylor Fladgate. Slightly less complex partners for chocolate are fruit-based dessert wines, such as framboise (raspberry) and cassis (blackcurrant). Their fruit is often macerated (soaked in alcohol) before fermentation for extra concentration. 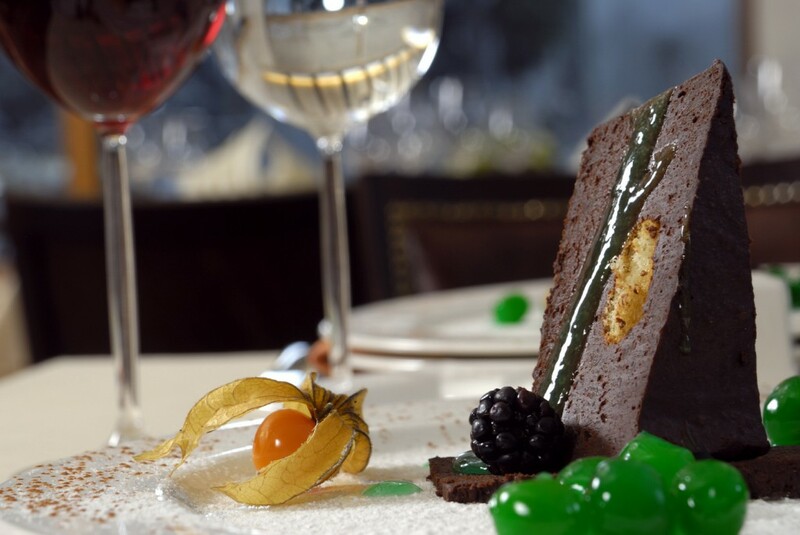 Served with chocolate combination desserts, they complement the fruit flavors. The tannins in these wines are usually so soft that they don’t compete with chocolate and their natural acidity works well alongside it. I’m fond of fruit wines from Southbrook Winery, Ontario; and Bonny Doon Vineyards and Andrew Quady, both from California. Surprisingly, apple icewine is also lovely. Try Neige from Quebec. 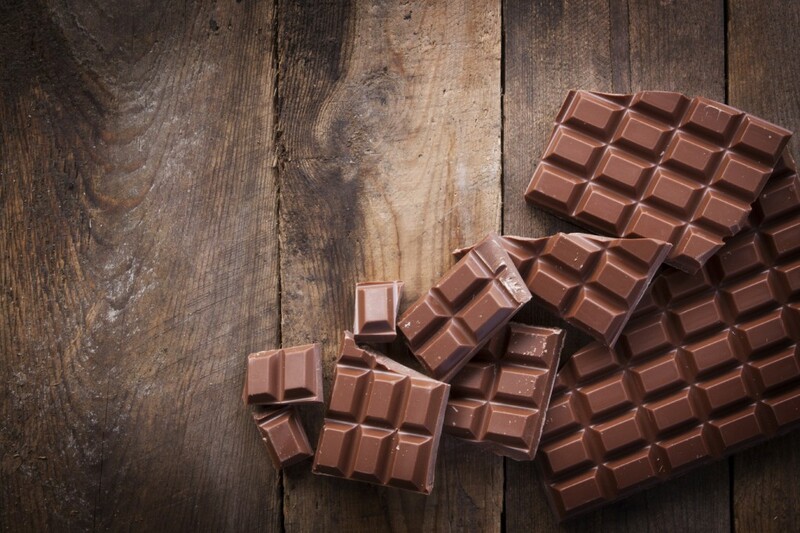 Pairing milk chocolate is a tougher challenge because of its high dairy content, just as milky desserts such as ice cream and cheesecake also clash. Some people pair milk chocolate mousse or pudding with sparkling wine on the theory that effervescence cuts through the fat. But that doesn’t work for me, even with sweet bubblies like Asti or Moscato d’Asti. I find their texture too light for the chocolate and the wine just tastes like acidic metal. The best match for milk chocolate is Hungarian tokaji, with its aromas of butter, honey, apricot, and citrus. Tokaji is a botrytised wine: the grapes on the vine are infected by a benevolent fungus called botrytis cinerea (also known as noble rot). This dehydrates the grapes, concentrating their sugars, acidity, and flavors. Other wines made this way include Sauternes from Bordeaux in France, and beerenauslesen and trockenbeerenauslesen from Germany. These wines also work well with ganache and buttery, velvety truffles. When it comes to this sweetest of all chocolates, I admit utter defeat. It’s just too much for any wine. 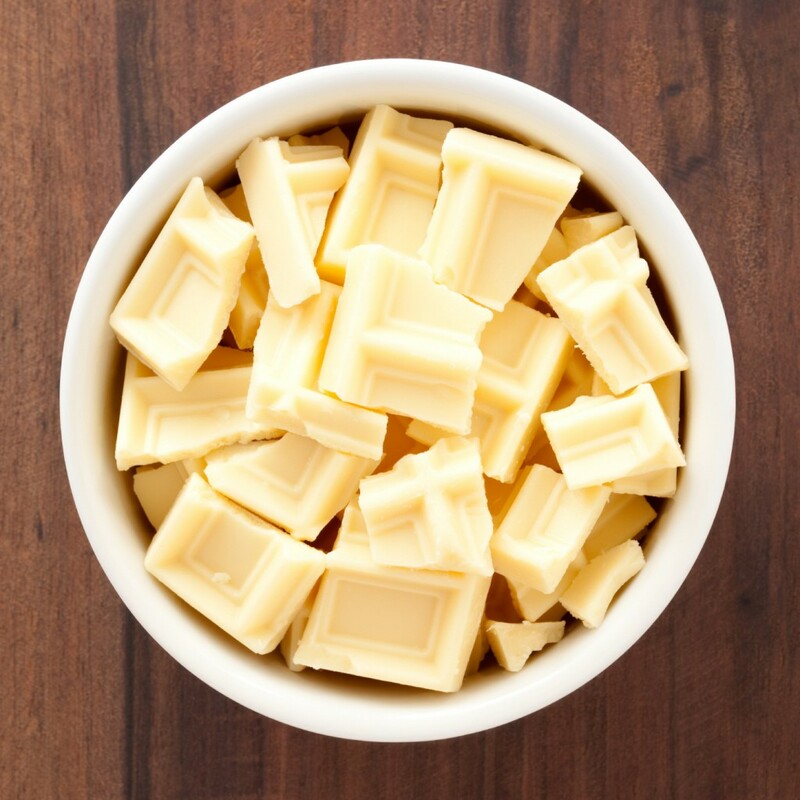 Perhaps that’s because white chocolate has just 20 percent cocoa as compared to the 75 percent in bitter chocolate. (Purists don’t consider the former to be real chocolate because it lacks all cocoa solids except cocoa butter.) Its vanilla flavors pair best with cream liqueurs from Bailey’s or Starbucks. An excellent partner with lighter desserts that have only a touch of chocolate, such as dipped biscotti or nut-flavored dacquoise, is amarone’s sweet cousin recioto della valpolicella. The grapes for both wines are dried for several months before being fermented. Those for recioto are dried a month longer than amarone, which gives the wine a deep, sweet taste of raisins and cooked black fruit. Canadian and German icewine, made from shriveled grapes that lose their moisture because they’re left on the vine well past the fall harvest, are picked in the chill of January. Icewine isn’t quite rich enough for pure chocolate, but it’s great with chocolate-dipped fruit or a fruit flan. I’ve heard that some people pair dark chocolate with such robust, dark wines. But after several sips, the wine tastes dull to me because the chocolate overpowers it. And the natural tannins in the chocolate accentuate the wine tannins, making these wine taste bitter. 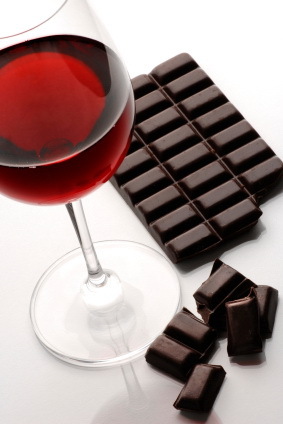 Lovers of both full-bodied red wines and chocolate needn’t despair, however. 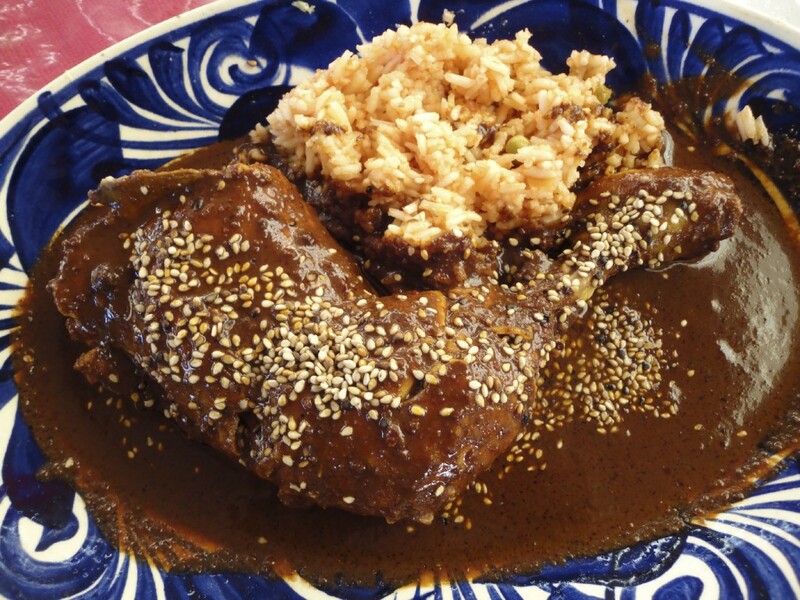 With dishes featuring just a touch of bittersweet chocolate in the sauce, such as beef daube, venison stew, or Mexican mole, the jammy flavors in a zinfandel, amarone, or even a Californian cabernet or Australian shiraz work well. To gain the dark knowledge of which wines pairs best with chocolate, I locked myself in my office for several long days filled with sugar, cocoa, and alcohol. Thinking only of my trusting readers, I am exceedingly thorough with all of my research. The result was a sugar-fueled high tempered by alcohol. (I had also spent earlier days surrounded by mounds of lettuce, bottles of spices, grease-stained take-out cartons, and curling cheese rinds.) However, nothing feels better than coming up with your own discoveries of what gives you the most pleasure. Try it. To help you with your own journey through the world of flavor, I’ve recently added an easy-to-use, online matching tool on my web site (nataliemaclean.com/matcher). You can search either by wine, if you’re looking for inspiration for a meal; or by food, to find great wine suggestions. There are also recipes from professional cooks. I’ve tried to make the choices as comprehensive as possible, so I’ve included everything from Cajun catfish and beef Wellington to spaghetti Bolognese and potato chips. It’s still a work in progress; I keep adding to it as readers ask me questions or send their favorite pairings. Of course, the best way to find good matches is to experiment, which happily means lots of eating and drinking.